When it comes to treating your athlete, whether it is for concussions, corrective exercises or performance enhancement it is important to make sure that you have the correct healthcare professional for the right condition. At the mention of the term “trainer” what comes to mind? Most people think of a fitness professional that helps with weight loss or helps to gain strength and flexibility in an individual. Moreover the terms “athletic trainer” and “trainer” are used interchangeably, however it is imperative to distinguish between the two. There are certified athletic trainers (ATC) and certified personal trainers (CPT). The major difference between athletic trainer and personal trainer is education. Another difference is the training and basic job duties of both positions. An athletic trainer is a person who meets the qualifications set by the Board of Certification, Inc., and adhere to the requirements of a state licensing board. Athletic trainers practice under the direction of a physician and are members of a health care profession recognized by the American Medical Association. Athletic training encompasses the prevention, examination, diagnosis, treatment and rehabilitation of emergent, acute or chronic injuries and medical conditions. A personal trainer is a fitness professional who has meet the requirements of a national certifying organization (NSCA, ACSM, NASM, or ACE). The personal trainer will prescribe, monitor and make changes to the exercise program of individuals who have no apparent physical limitations or who have received medical clearance to exercise. Personal training can benefit people by improving their overall fitness level as well as reduce health risk factors and prevent disease. Additionally it can enhance function following the completion of a physical or cardiac rehabilitation program. Remember that both the athletic trainer and personal trainer serve a purpose in the healthcare and fitness field. Be sure to you make an informed decision when choosing the proper professional to achieve your athlete’s goals. Again it is important to recognize the significant differences between an athletic trainer and a personal trainer in terms of qualifications and practice. The athletic trainers at Advanced Physical Medicine and Athletics are highly skilled and educated certified healthcare professionals that work with athletes at all levels of competition to prevent, evaluate, and treat sports injuries. Our athletic trainers work under the direction of chiropractic physicians and coordinate care across multiple touchpoints, including parents and school/club officials to provide optimal health care for student-athletes. The athletic trainers on staff have an extensive background in human anatomy, human physiology, biomechanics and exercise physiology which makes them experts at understanding the complexities of high-level rehabilitation. From sprains and strains, to concussion and emergency management, our athletic trainers are prepared to respond to any situation and are experts in the prevention, assessment, and rehabilitation of injuries. Your athlete’s return to an active lifestyle is our main concern. We will work hand in hand with the athlete to achieve their goals and decrease pain all within a fun and friendly atmosphere. Parents can be reassured that an allied health professional is looking out for the best interests of the health and safety of their son/daughter. 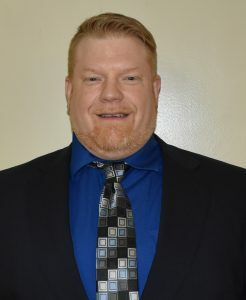 Athletic Trainer Jason Day was born in Glendale Heights, Illinois and graduated from Glenbard East High School before attending Olivet Nazarene University for his undergraduate studies. He then attended California University of Pennsylvania for his Master’s degree in Athletic Training (MSATC). Jason holds a number of certifications including Certified Strength and Condition Specialist (CSCS), Certified Personal Training, NASM-Corrective Exercise Specialist, Athletic Training Certification, TRX Sports Medicine, Key Method Functional Capacity Evaluation, Stress Management, Pilates, and Workers’ Compensation Rehabilitation certification. He currently lives in Youngstown, Ohio with his wife Susan, son Corbin, and daughter Ryelan. Jason likes to keep active with interests such as professional wrestling, Mixed Martial Arts (MMA), and power lifting.